The concept of the invisible spiritual realm is something which is difficult for us to grasp. What we can see, hear, and feel we can take on face value that it is reality. But what about those things that are unseen? 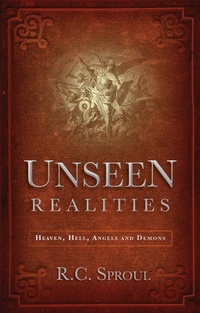 Scripture speaks about heaven, hell, angels and demons which are a part of this invisible spiritual realm. Internationally renowned Bible teacher R.C. Sproul helps us gain an understanding of these things so that we can come to a realization that in fact all four are true realities that impact upon our everyday lives.